The irrigation systems are an important part of landscaping. There are various types of irrigation systems available for landscapes. 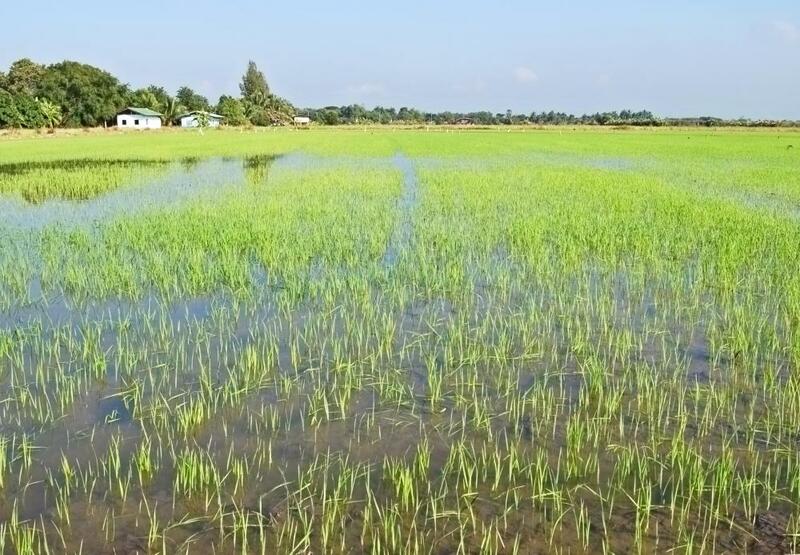 Farmers and landscape owners choose the irrigation systems depending on the type of crops, plants, the condition of land, water resources and level of water in the ground. There is a variety of irrigation systems used for watering of landscapes. Some landscape owners in Perth use traditional systems while others use modern ones to save water and electricity. Let us know about both the traditional and modern irrigation systems. Flood irrigation is the traditional system of irrigation used for watering the crops and agricultural fields. The systems consist of a jet or hose that delivers the water to the landscape with crops or plants. The water spreads in the field like a flood that is why it is called flood irrigation. The disadvantage of flood irrigation is that it can flood the soil and leads to soil erosion and the fertilizers runoff into the ground. The sprinkler irrigation systems supply the water using a network of hoses in the form of a spray to the target areas. You can install a sprinkler on the tube for small areas, and multiple sprinkler heads to a network of pipes for watering of large areas. The sprinkler systems are quite useful for irrigation of large fields and landscapes. However, some amount of water evaporates into the air in the areas where winds flow usually. Center pivot irrigation systems consist of a central pipe with the outlets that rotate around a centre point. It works in the same ways as the sprinkler systems, but it has steel and aluminium towers for support. Center pivot irrigation supplies water more uniformly to the plants as compared to other watering methods. The furrow irrigation systems are quite simple, and you can create them on yourself. All you need is to develop small trenches between the garden beds through with water can flow to the entire area of plants. Furrow irrigation is a simple way of watering the whole garden by supplying water to a small area. Terraced irrigation is useful in the hilly areas where the agriculture is done on the hills. No system of irrigation is helpful in the inclined landscapes as the water quickly moves down the slopes and leaving the plants deprived of water. So the farmers create a series of steps before sowing the seeds or planting the seedlings. Each step is made horizontal to hold the water for plants. The water is supplied to the first step, and it flows down to the following steps to water all the plants to the lowest step. Drip irrigation systems are gaining popularity due to the low consumption of water. They use a small network of pipes with emitters placed near the roots of the plants. These emitters supply the water directly near the roots, and there is negligible evaporation into the air. The water is immediately absorbed by the soil that becomes immediately available to the roots. Therefore, there is no wastage of water as no water seeps below the ground or evaporates into the environment. Soaker hoses watering is a subtype of drip irrigation where there are no emitters connected to the pipes, but the tubes contain tiny holes. A pump like the ONGA pumps Perth supplies water that flows through the network of tubes and weeps through the small holes into the soil near the roots of the plants. Landscape owners can place the hoses in their lawns or fields that need watering. You can bury the pipes in the soil or under the mulch to make it more permanent, but you risk the clogging of holes by the soil. Rainwater harvesting is a traditional form or irrigation system used for watering the areas with low facilities. Farmers collect the rainwater in large cisterns on the roofs of a building or a high land area. Then the water is supplied through pipes to the plants when there is no rain. Landscape owners can combine the rainwater harvesting with drip irrigation by connecting the network of pipes and emitters to the collecting cisterns. Water flows from the reservoirs to the plants through the hoses by the action of gravity. The system is known as rainwater drip irrigation and is quite useful in the areas with no electricity and lack of water resources. These methods mentioned above are the irrigation systems used today for watering of landscapes. Some people still use traditional methods like flood irrigation, but most landscape owners in Perth are upgrading to more efficient systems like drip and sprinkler irrigation. The modern systems help in saving water for future and conservation of soil that leads to high crop yields and low utility bills.